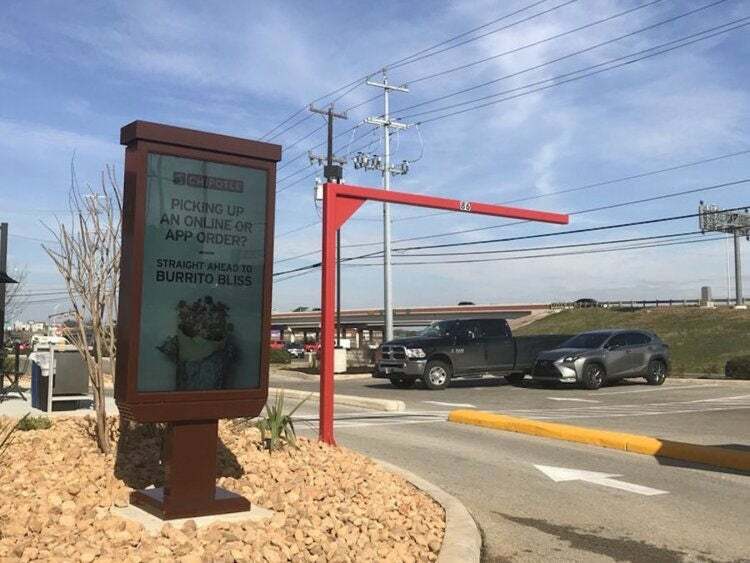 The lanes allow customers to pick up mobile orders without getting out of their cars. "Arguably, it will be the fastest way to [get] Chipotle -- going through the Chipotlane," Niccol said. Chipotle already has added Chipotlanes in 10 U.S. locations. Image credit: Yelp Monique R.